San Diego Carpet Repair and Carpet Dyeing services: Berber Carpet Repair, Carpet Burns, Carpet Dyeing, Carpet Flood Water Damage, Carpet Patches, Carpet Stretching, Carpet Seam Repairs, Commercial Carpet Repair, Pet Damaged Carpet. San Diego Carpet Repair: What can be repaired and when to replace? All types of accidents can happen to a home’s flooring such as wrinkled carpet, pet damage, spilt bleach, burns, tears and more. This article will answer the most common questions on when a carpet can be repaired or if it is best to replace. 1. Loose & wrinkled carpet is the most requested carpet repair we receive in our San Diego office. The reason most carpet becomes wrinkled over time is from poor & improper installation. Thanks to new carpet installation guidelines carpet is now installed using a power stretching tool, although in recent, this type of installation was not a requirement. This type of carpet repair can be easily remedied by a reputable carpet repair or installation technician. Be sure to request the re-stretching to be done using a power stretching tool and not a knee-kicker. 5. Red Kool-Aid Stains are easily removed by a repair expert familiar with the “heat transfer” process. This type of a method is great for Kool-Aid, wine, sports drinks, coffee, and stubborn pet stains. A commercially formulated emulsifier is used to lift this type of stain from the carpet utilizing a white terry cloth towel and a clothes iron. If the stain does not respond it can be “patched” in by the technician. 7. Water damaged carpet can be repaired similar to the steps in #6 above. 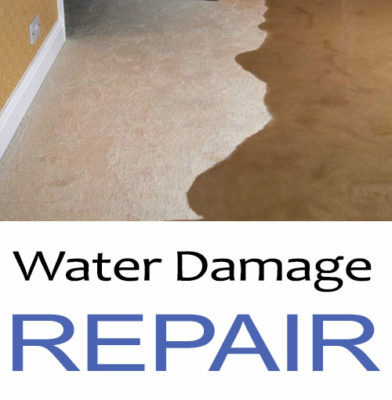 It would be a good choice to hire a certifiedwater damage restoration company that is knowledgeable in carpet restoration and drying procedures. It is very important to remove the damaged pad as soon as possible, clean the carpet and force dry with a carpet blower or fan. If left unattended the carpet pad will begin to mildew and before long a mold problem will require further restoration or even replacement. A knowledgeable carpet repair technician will be able to determine the correct thickness and density of the pad and match it, saving you from replacing the whole room with new pad and cutting your restoration cost. San Diego Carper Repair – When should you replace? 2. Worn traffic areas are not restorable. Carpet that has been “flattened” down in the main walk areas is permanent. These areas can be raised using a nap lifter during the cleaning process and maintained with a carpet rake but once a carpet has been worn in traffic areas it can be quite difficult keeping it “fluffed up” again. 4. Sewage overflows warrants for carpet replacement. “Gray or Black” water damage is how a restoration company classifies a water damage loss. It is always a good idea to replace carpet if there has been a sewage back up resulting in damage to your carpet. Much like the decision to replace molded carpet, an individual who suffers from allergens or has a respiratory disease will have a very difficult time with this type of bacteria in the home. Concluding this article on types of carpet repair and when to replace, you will find most misfortunate accidents that occur to your carpet can be easily repaired. If you have a question on a particular carpet repair that has not been covered here please feel free to contact our office @ (619)773-3309, we will be happy to answer any question you may have and please frequent our blog page as often as you like for more informative articles.San Diego Carpetrepair and Carpet dying. IT’S NEVER TOO LATE FOR CARPET DYING, CARPET STRETCHING & CARPET REPAIR. Don’t throw away your old carpet considered a alternative. Carpet repair and restretching in San Diego. Have your tenants destroyed your carpets with stains fading wear and tear? Are you thinking about replacing the carpet in your rental units? Dye your carpets and save you thousands instead of replacing your carpets. Dye one room or your entire home. One call does it all! Buckland happens as a result of everyday wear and tear. Excessive heat also causes carpet to Ripple as well. With our professional service San Diego carpet repair and carpet dying will make your carpets look like new again in no time. Our company uses a power stretcher and we also reseam to make sure your carpet is secure period. We guarantee that once your carpet is stretch it will be as tight like once before. WHAT TYPE OF CARPET REPAIR DO YOU NEED? Sometimes carpet can be ripped or torn by a pet , cut, or burned by an iron. It’s important to know that there are solution to these problems. We here at San Diego carpet repair are experts on topics such as carpet Burns carpet restretching and carpet seam repair making it appear like it never happened in most cases. If you are looking for Berber carpet repair we can help with years of Berber carpet repair experience in San Diego. 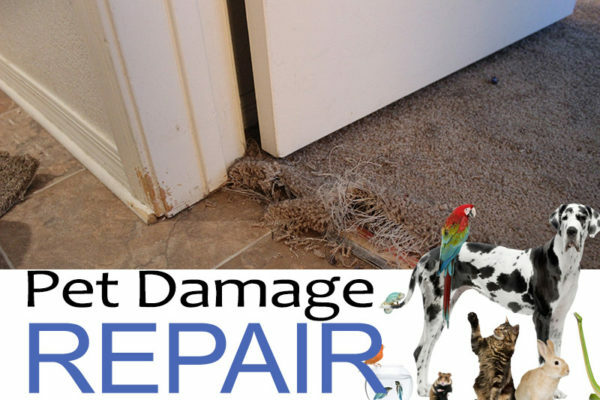 Our top rated carpet repair Professionals can help. We have mastered all carpet repair techniques no matter what your needs Maybe. Call San Diego carpet repair and for all your burger repair needs one call does it all! Your carpet can be dye to an entirely new color both residential and Commercial clients of ours have benefited from using our services. The cost is usually half the price of car carpet replacement so don’t replace it! Dye it! Bleach stains can be a hassle especially when spilled on carpet leaving a white yellow or orange permanent stain. Never fear San Diego carpet repair and carpet dying is here to re-dye those stains back to original. From pet stains, hair dye, ect. If you ever spill bleach on your carpet ” please leave it alone and call a professional. Adding any type of chemical to bleach May cause a chemical reaction making it harder to re-dye the damaged area. Our carpet repair service comes with the quality work of our technicians and 100% satisfaction guarantee. Our technicians work to repair your carpet completely using the best available materials and equipment we use trusted traditional by hand techniques Our technicians work to repair your carpet completely using the best available materials and equipment we use trusted traditional by hand techniques to deliver quality service and long-lasting repairs. San Diego Carpet Repair and Carpet Dying. We get out any and all stains guaranteed! We offer carpet dyeing, carpet repair, carpet patching, seam repair, bleach stain removal, pet damage, water damage repair, berber repair, carpet stretching, Red Stain Removal, wax Removal, Pet Stain Removal and much more! One call does it all! Get Free Estimate on all orders over $150 and guarantee satisfaction. You can call us for any kind of question. San Diego carpet repair – We do have best carpet repair and dyeing derice for great price!